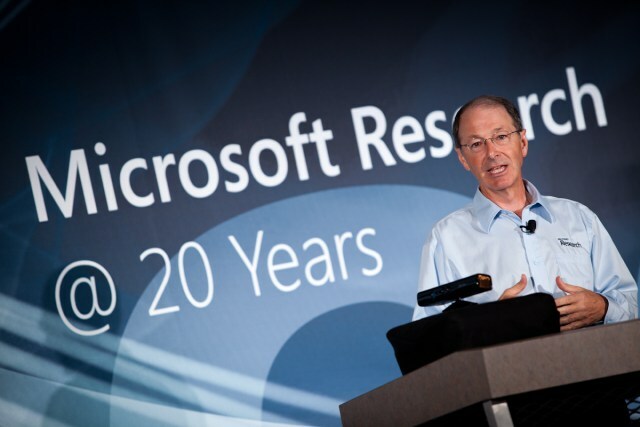 This month marks the 20th anniversary of Microsoft Research, perhaps the most consistently interesting division of the hulking software company. Take a few minutes to peruse the timeline of their work, which ranges from consumer-facing work like Cleartype and spam recognition to the obscure, academic, and quixotic. The names behind the ideas are unlikely to be recognized, but they include geniuses, visionaries, knights, and humanitarians. Billions of dollars per year being expended towards furthering the reach and worth of technology constitutes an important but largely thankless endeavor. Sure, products like Office, Exchange, and other enterprise stuff make up the majority of Microsoft’s income, but I don’t think Microsoft was founded to be a office-tools company. The vision of Microsoft was putting a computer in every home and making that computer as versatile and powerful as possible. Microsoft Research is perhaps more in line with that philosophy than its parent company has been in years. If I had to pick a place to work at Microsoft, Research would be it without a doubt. Unfortunately, I’m not an accomplished computer scientist or engineer, so I have to be content with occasionally reporting mind-blowing creations like using a Kinect to map a room in 3D in real time. Things like that make me actually excited about what they’re doing. So many companies featured on this site have their sights set on such miniscule problems, such niche applications, that I can’t bring myself to feel anything at all about them, however much funding they score. If Instagram had a billion dollars a year to spend on R&D, what would they spend it on? More filters? Watching for interesting projects is especially easy with both MSR and Google, because both companies want this stuff out there. And with the Motorola purchase, I think Google might just be getting started with the tinkering. There is probably quite a lot of interesting research being done at Apple as well, but their secretive nature over there doesn’t permit snooping. That’s why I like Microsoft Research. Their semi-academic model for collaborating and sharing means the papers and demonstration videos are often right there for you to browse. Sure, for budding products like Kinect they have to keep the lid on tight, but for more esoteric projects it’s all in the open. Rob Knies describes here MSR Redmond Director Peter Lee’s optimism at the next few years for the division, and looks back at the last 20 years of discoveries and investigations. Research has grown to encompass more than 850 researchers at 12 facilities around the globe. Microsoft spends $9 billion per year on R&D, and while they may have some trouble turning them into products, MSR is still an idea factory well worth the money.